Two years back, little did Girish Chaple of Jaipuria Institute of Management, Indore know his first job was going to be with Landmark Worldwide on a package of 16 lacs p.a. Girish Chaple of Jaipuria Institute of Management, Indore had his one eye fixed on getting his 2 years of PGDM come to a fruitful end but to wrap it with a package of 16 lacs wasn’t quite what he was expecting! At the moment, Girish is sitting on cloud 9. After all, it’s his first job ever in life and it’s with none other than the San Francisco headquartered Landmark Worldwide. Like many engineering students, Girish picked a Management programme in the year 2015 to accelerate his career. He arrived at Jaipuria Institute of Management, Indore with hopes of getting the nuances of Management correct. The first few months on campus had its sets of hiccups for him- settling down in a new place doesn’t come naturally to everyone; however, Girish treated it all as blessings. “There has always been something to learn at every conscious hour within the campus,” elaborates the man who is going to be part of a global group in no matter of time. “I did my winter internship with TP Impex where I was essentially involved in the Distribution Mechanism of the company. 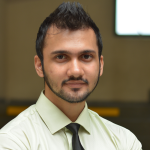 It is there that I received the clarity pertaining to what specialization I wanted to opt for,” mentions Girish when asked about an Engineer’s choice to join an FMCG company. Girish is cut out for a Marketing profile. Did you ask why? Well, he is the kind of guy who keeps calm on the face of crisis but has the attitude of a go-getter in him. He doesn’t cringe under extra responsibilities and he is an optimist- a born one. While being a crucial member of the Corporate Social Responsibility (CSR) Club, Girish could be spotted working within a team set up, leading from the front. Naturally, his penchant for communication made him focus towards Marketing as a potential profile. 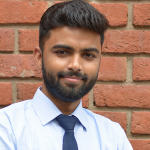 However, his tryst with Marketing as an interesting area started happening when he attended his first summer internship with Pantaloons as a Department Manager in April 2017, for three months. 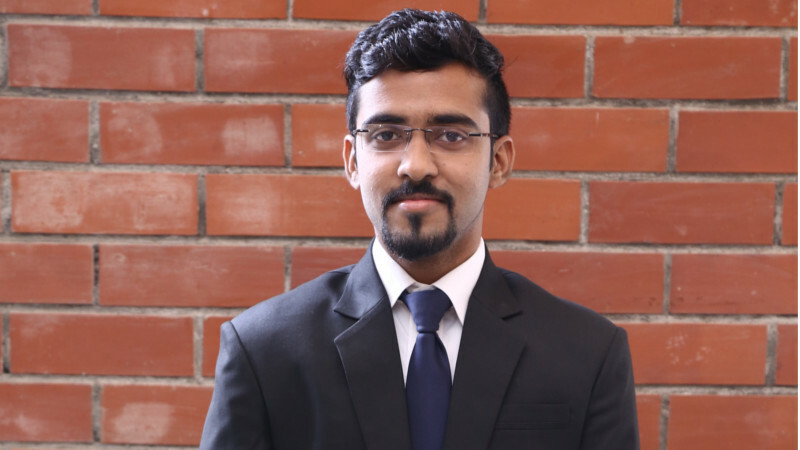 It was an internship opportunity that Jaipuria, Indore brought to him. Girish says- “It was magical! 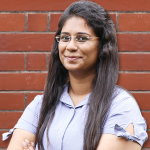 I started figuring out where to dig my teeth while communicating with a client and how to solve for the problems at hand.” No wonder, Girish aimed for the moon and didn’t have to settle for the stars. But you would be wrong to assume it all came easy to him. No, Girish did face rejections from a couple of companies to begin with. “When I was rejected by few, I got the bigger picture, the perspective! I realized I had to prepare more, bridge the gap between industry expectations and my understanding. Prior to Landmark, I prepared religiously about the company and my profile,” says a committed Girish. With industry sessions, backed by a rigorous, relentless curriculum and supported by a team of super helpful faculty Girish’s two years has been a wrap- of memories, goodwill and success! 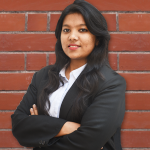 Law and then PGDM- how does Shivika think it worked for her?